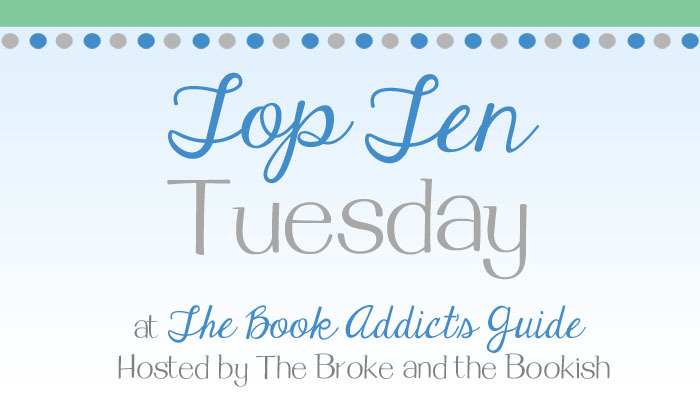 Top Ten Tuesday - November 5, 2013: Sequels I Can't Wait to Get my Hands on! Some series finales, some continuations, but all of them are SO exciting! Which ones are you most looking forward to? I’ll tell ya… It’ll be a long wait for some of these! This entry was posted in Books, Top Ten Tuesday and tagged Books, Sequels, top ten tuesday, YA, Young Adult on November 5, 2013 by Brittany. Seriously! Ruin & Rising and Winter and I will die happy. My two favorite series ending… It’s bittersweet but will be INSANELY exciting! Oh my gosh, I have a SERIOUS case of grabby hands. It’s so bad. OOOOH I can’t wait for you to read Siege and Storm! It’s so utterly amazing. Split Second, Rebel, & Her Dark Curiosity definitely made my TTT today too! I’ve heard mixed things about Her Dark Curiosity, so we’ll see, but. I’m still really intrigued. And Split Second is definitely one of my MOST anticipated 2014 releases! I have high hopes for everything Kasie West writes. And WINTER. I mean, I put Cress on that list but can we just say I NEED the rest of that series immediately? But it’s kind of sad, because Winter will be the last one. This is the first time in a long time part of me sort of wishes the series was epic-Harry Potter length so I will be able to continue to look forward to book releases in that series for like the next 5 years. OMG YES. Totally of Harry Potter proportions. I absolutely agree!! So much love for that series. Of course we’d have so many in common 🙂 Great taste, Stormy! Hahah! Oooh I still need to start that series! I have book one on my shelf, but like many things, I just haven’t gotten to it yet! I have Cress on my list since I wasn’t lucky enough to get my hands on an ARC. Boo. 🙁 But I also have Into the Still Blue on my list. I did just snag an ARC of that one which I’m pretty excited about. And apparently I really need to read the Grisha Trilogy. It’s been on a lot of people’s lists today. I think I’m going to wait for the third one to come out though and then binge read the entire series. Oooh I can’t wait for you to read Cress! I get so excited when other people read it haha. And YAY to The Grisha Trilogy! I think that one’s a good one to binge read. I’m already dying for book three! *flails* I can’t wait to read Cress and Winter. The first books were really awesome and different. YESSSS. This series is just so amazing. I want more and more and more! These posts are all making me realize I need to hurry up and read A LOT of books before their sequels come out. I tend to read the first book and then forget about the rest so I’m so behind. I am CRAZY excited for Into the Still Blue. It’s going to be so sad seeing the series ending, but all good things must come to an end I guess. I hear ya! I’m already so behind on so many series that I was highly anticipating too. My “can’t wait” list is already half obsolete because the books are already published haha. I’m also scared and excited to read Into the Still Blue! I feel like there are going to be some heartbreaks. I’m nervous! Ooooh yay! That’s seriously one of my favorites OF ALL TIME! SO exciting! I’m waiting for so many of these too, even though I’m horribly behind on most of my series! I need to start The Lunar Chronicles soon, every time I see one of the books mentioned, I get even more excited to read them. Great list! I’m behind on so many too! I had a “can’t wait” list and half of those have already come out haha. Just so many to keep up with. Thank you!! I know, those are just teasing me. I can’t wait to pick them up! Somehow I forgot Split Second. So many great books upcoming–this makes me beyond excited and happy. I am very excited about Ruin & Rising! And Winter! And the next Raven Boys book! And Going Rogue! They’re all sequels that I can’t wait to read. So many great books to look forward to! I’m also looking forward to Unhinged, the Splintered sequel. Into the Still Blue and Split Second are both on my list too. I have Cress on my list…love that series!! I loved Reboot, I should have had that sequel on my list too. Most of the books I’m reading these days seem to be series for some reason, there’s so many! Great list! Lots of similar ones on both of our lists! It’s weird, I liked Reboot when I read it, but I had a few issues with it, but I am super excited for Rebel. I don’t know what’s up with that! Great list. It could be Christmas ever day with so much awesome on the horizon.